Police cannot use the standard field sobriety tests to definitively determine that a driver is too high to drive, according to a decision the Supreme Judicial Court handed down Tuesday morning. Police cannot use the standard field sobriety tests to definitively determine that a driver is too high to drive, according to a decision the Massachusetts Supreme Judicial Court handed down Tuesday morning. The court wrote that the tests, which include walking a straight line and the eye-gaze test, were designed specifically for alcohol. “There is, as yet, no scientific agreement on whether, and, if so, to what extent, these types of tests are indicative of marijuana intoxication,” the court wrote in its opinion. Some police officials see the decision as a minor setback, one less tool they can use as drugged driving cases have jumped in Massachusetts in recent years. “It’s not a game changer. It is a decision that will hamper our ability to deal with OUI that involves marijuana cases,” said Walpole Police Chief John A. Carmichael Jr. The SJC ruled that police cannot use the tests like they do with alcohol because “there is wide-spread scientific agreement on the existence of a strong correlation between unsatisfactory performance and a blood alcohol level of at least .08 percent,” the legal limit for drunk driving. But, the tests still can be conducted, and the officers’ observations about balance, multitasking, and mental sharpness, can still be used in court as a description of a driver’s overall presentation and demeanor. Carmichael, whom Gov. Charlie Baker appointed to the state Cannabis Control Board as a police representative, said that observations beyond field sobriety tests, like how they were driving, how they answered questions, and physical appearance, will continue to be part of his officers’ impaired driving investigations. “What the officer sees, what he observes, what he smells, how the other person reacts throughout the stop, he’ll still be able to do that,” Carmichael said. There is no widely-recognized roadside sobriety tests for marijuana or other drugs, and Massachusetts does not have a limit for the amount of THC, the active compound in marijuana, is too much to drive. 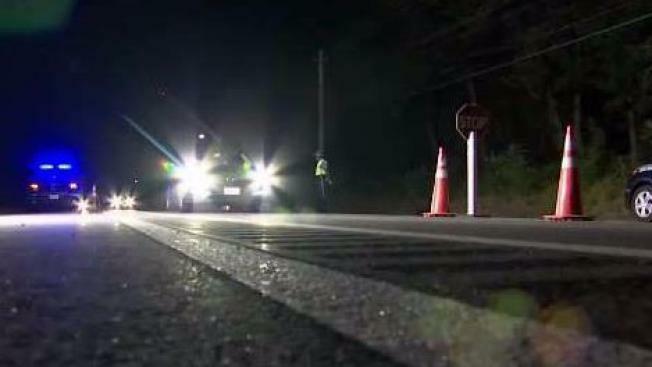 State Police are testing a roadside drug test now that involves swabbing a driver’s mouth. The swabs can detect whether drugs, including marijuana, have been used recently. And departments across the state are pushing to get more officers trained as drug recognition experts, specialists who can spot physical signs of drug use other officers may overlook.